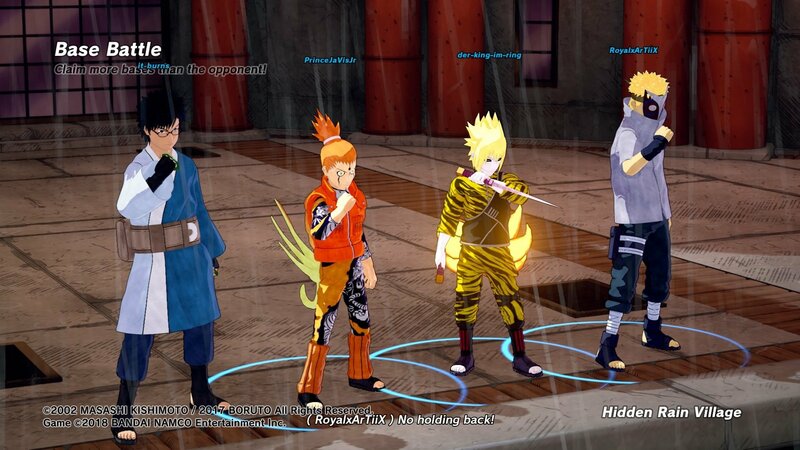 Naruto to Boruto: Shinobi Striker is the latest example in the ongoing string of licensed games with interesting ideas hampered by rushed and sloppy execution. 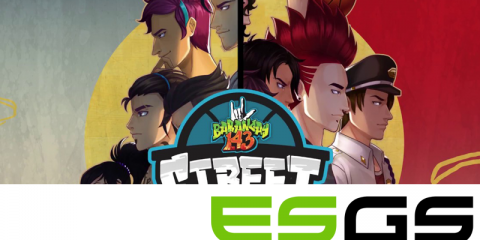 It’s a shame, because the very idea of a team-based multiplayer affair with a pinch of MOBA influences in the Naruto universe sounds fantastic on paper. 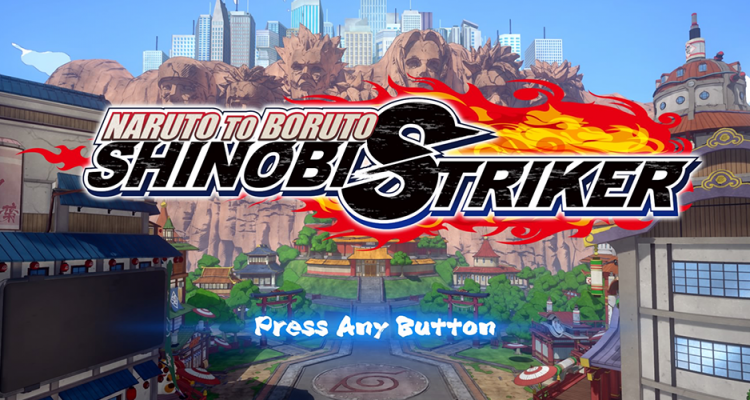 Taking place at an indeterminate point in the currently-running Boruto series, Shinobi Striker really doesn’t have much of a story to accompany it. 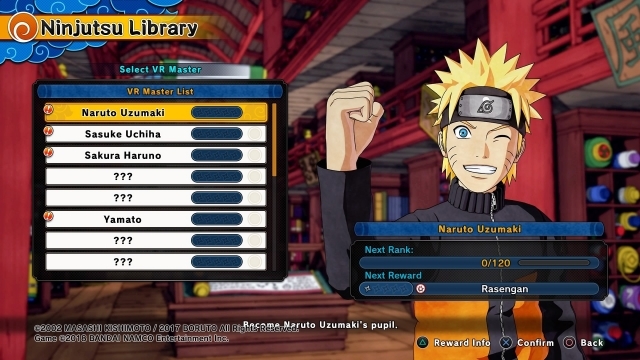 There is single-player content here in the form of VR missions which take place at various points in the Naruto and Boruto timeline, and not much else. 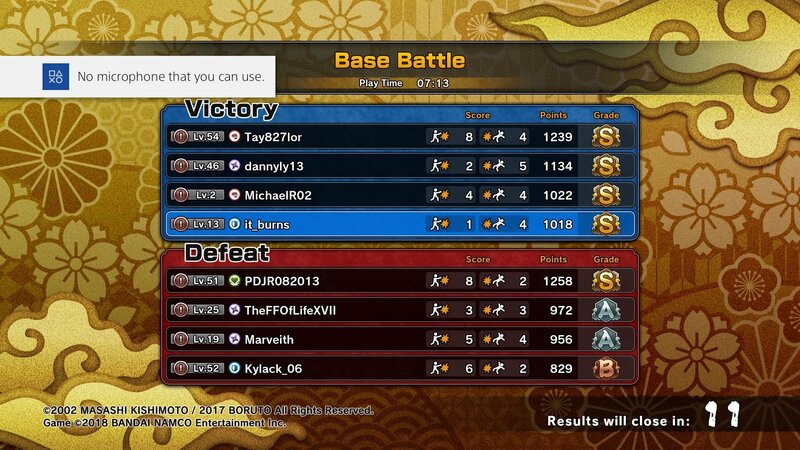 Even then, all the progression you make in single player is still in service of the game’s greater multiplayer focus. 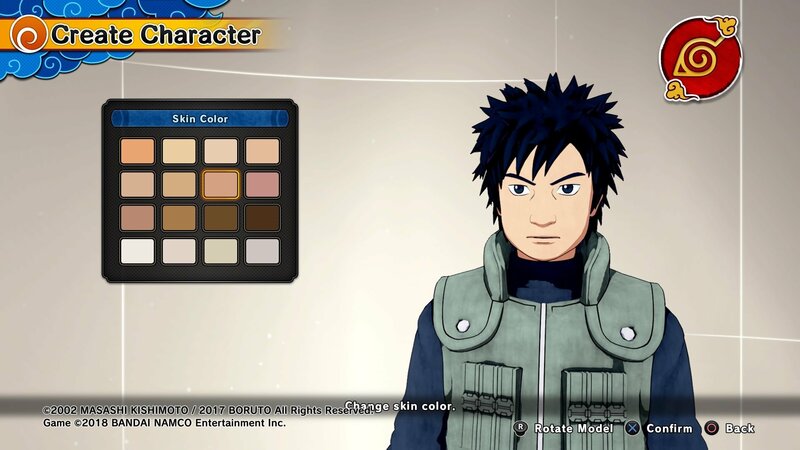 Upon firing up Shinobi Striker, the first order of business is creating your avatar by way of an initially limited character creation suite. 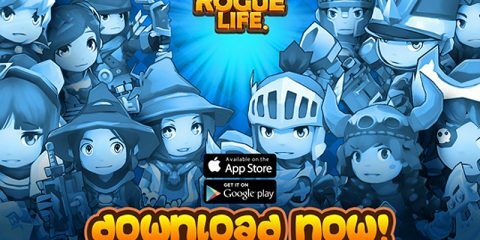 More often than not, you’ll start out looking incredibly generic, think Shinobi World War cannon fodder. It’s only until you start earning more gear and customization options that you truly get more wiggle room to truly bring your Naruto OC (no stealing!) to life. 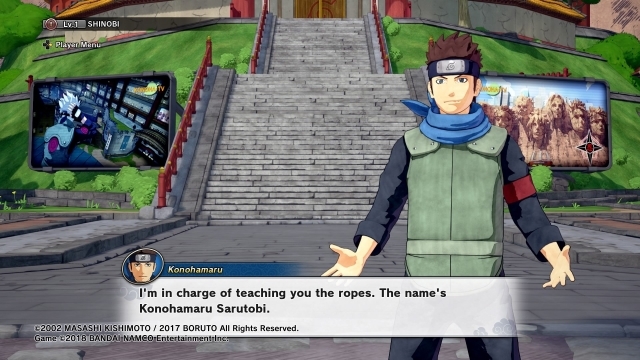 After slapping your avatar together, you’re dumped right into Konoha regardless of which village you choose to originate from in your character’s info sheet. What follows is 20-30 minutes worth of introductory dialogue that you can’t even speed through, beginner-level missions with unskippable portions, and some of the slowest-moving system tutorials I’ve had the misfortune of experiencing. 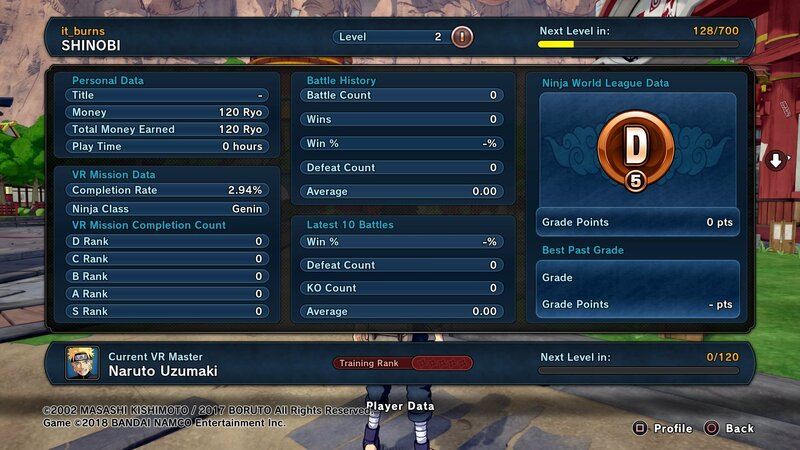 With that out of the way, you’re free to take on Shinobi Striker’s single or multiplayer content. Though let’s face it, diving straight into online matches at this point would more or less be an exercise in folly given the limited amount of equipment and skills available to you at the very beginning of the game. 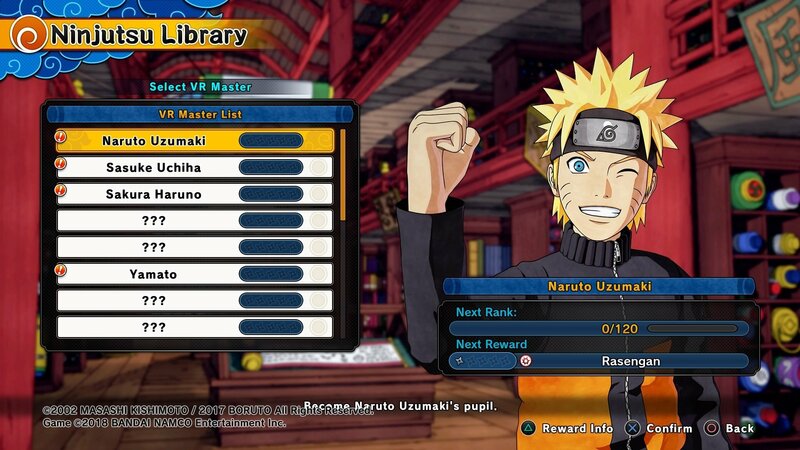 This is where Shinobi Striker’s progression system comes into play, and it takes nearly equal amounts of planning and luck to build the shinobi you aim to be. Shinobi Striker places you under the tutelage of various VR ninja masters from the series’ history. Filling up a dedicated meter raises your rank for each respective master, netting you rewards like new jutsus, gear, customization items, additional masters, and scrolls, this game’s equivalent of random loot. 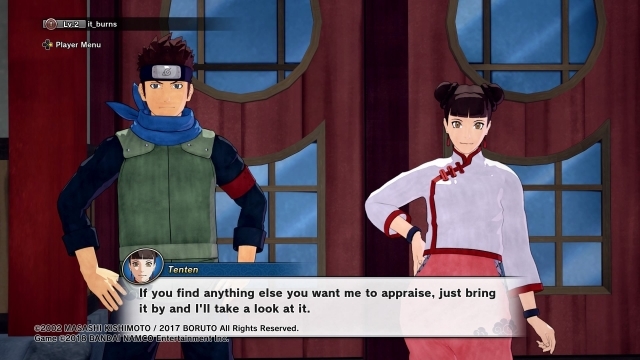 However, instead of straight-up opening the scrolls then and there upon receiving them, you need to have them appraised by Tenten at the Ninja Tools Shop. 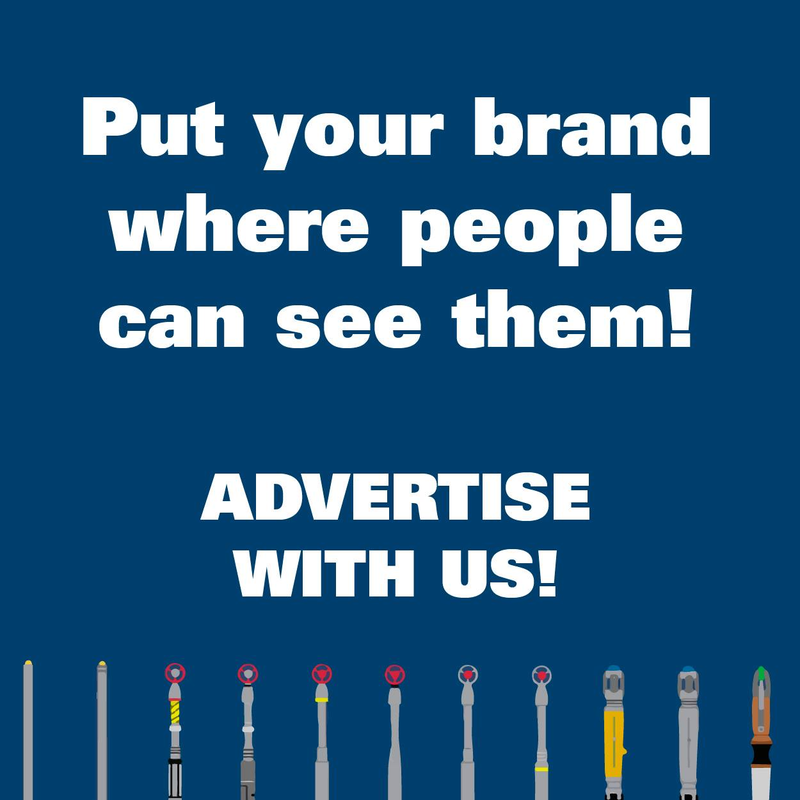 It’s an extra step of tedium in an already clunky interface. In terms of combat, you’ll have to rewire and re-acclimate yourself if you’re coming into Shinobi Striker from the Ultimate Ninja Storm series. 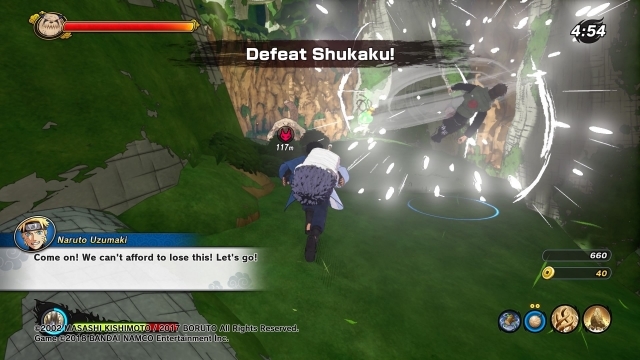 Battles take place on expansive maps and place extra emphasis on traversal and teamwork. 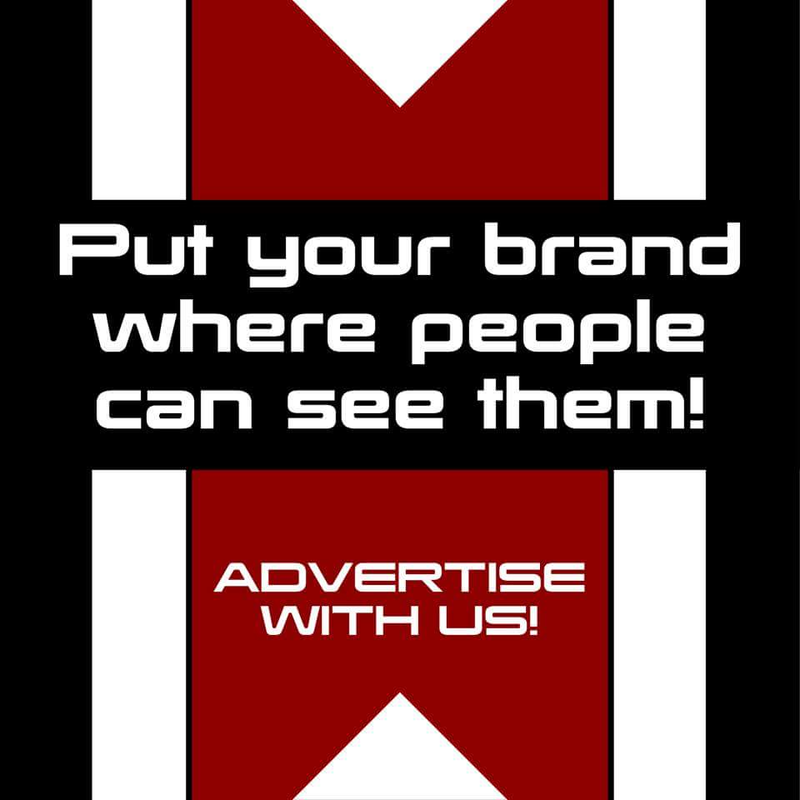 You’ll find yourself running up walls, across rooftops, and leaping across great distances in order to get to your next engagement. 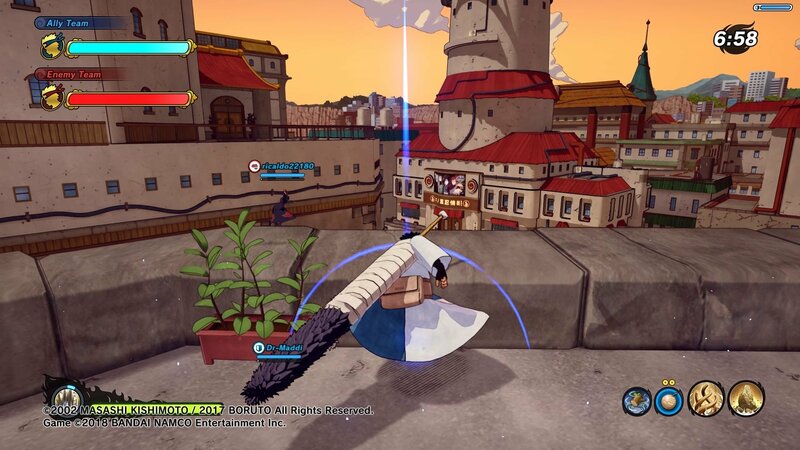 There’s also a wired kunai that acts as a grappling hook when you need that last bit of help to reach a ledge or cliff face. The mobility in this game is one of its stronger points, only held back by a camera that can barely keep up. The teamwork aspect of combat comes by way of having different character classes you can swap in and out of between battles and even during respawns. 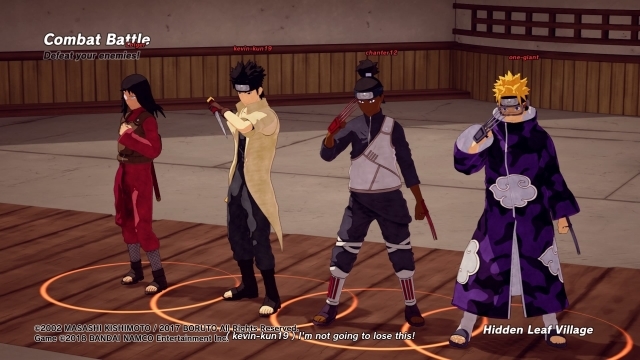 While it is possible to get by using a team of say, four attack or defense ninjas, you’ll get stomped in the higher levels by teams with more diverse lineups, preferably with at least a single member in the support role for survivability, so keep that in mind. 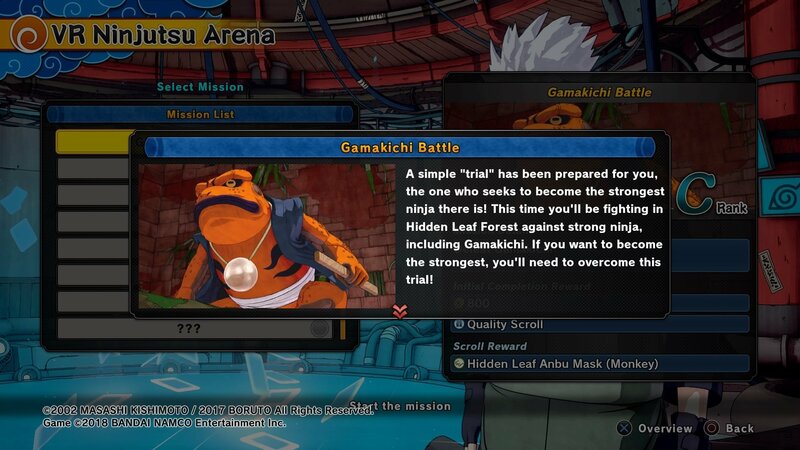 When it’s not trying to purposefully frustrate you with its interface, there’s a kernel of a pretty neat idea buried in Shinobi Striker. The MOBA-esque gameplay modes coupled with the Naruto series’ fantastical ninja action should sound like a match made in heaven on paper, but it’s held back by a clunky menu/hub system, a camera that may as well be your greatest enemy, and a general feeling that this could’ve used a better budget and a little more time in the oven. 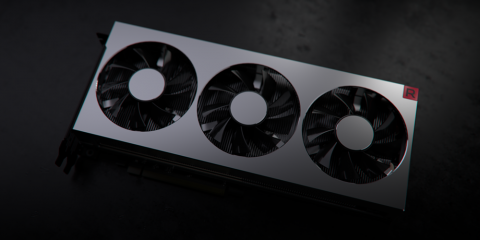 We’re hoping that all these get ironed out should it get a sequel, but we’re not betting on it just yet.